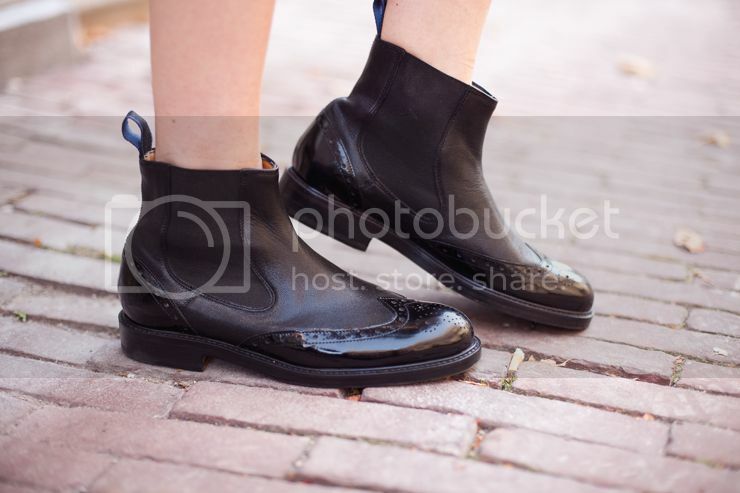 New Melvin&Hamilton Patent Chelsea Boots! These babies are perfect for Autumn/Winter and remind me a bit of the similar Dolce&Gabbana boots, I love the version with the red elastic and the quite similar Amelie boots as well. The boots are in gorgeous leather with brogue style patent leather overlay and elastic side gores and the soles are both leather and rubber! The hight of the ankle boot is perfect to wear them with skirts and dresses! They look cool and comfy. Look like a resl Must-Have for fall! Beautiful! Alle the best from Germany! Great boots. Chelsea boots are one of my favourite styles. They look so beautiful ! So cute! I love these!! I absolutely love these, they’re perfect!